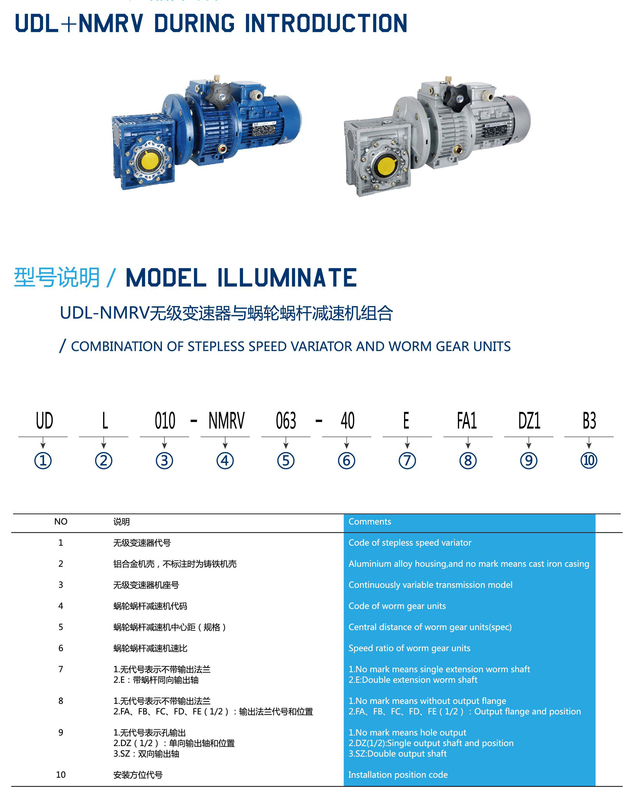 The UDL-NMRV gear motor is designed with advanced technologies at home and abroad and it is a combination of stepless speed variator and worm gear reducer in order to achieve low stepless speed-changing and it combines both the advantages of the worm gear reducer and the stepless speed variator. 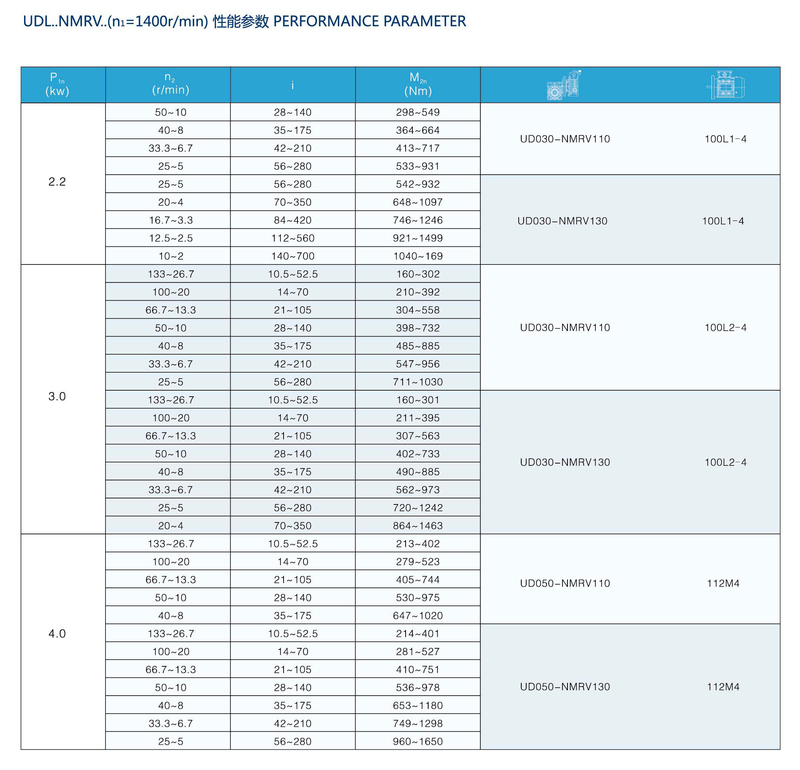 The UDL-NMRV is featured with a compact structure by using high quality die-cast aluminum alloy material so that it is small in size, light in weight and it never get rusty. 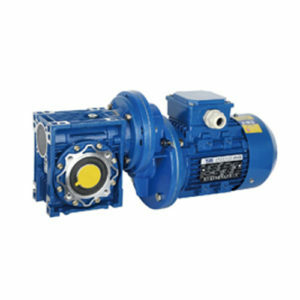 By the using of the combination of the stepless speed variator and worm gear reducer, a larger output torque could be achieved and it meetsthe requirements of super speed ratio. 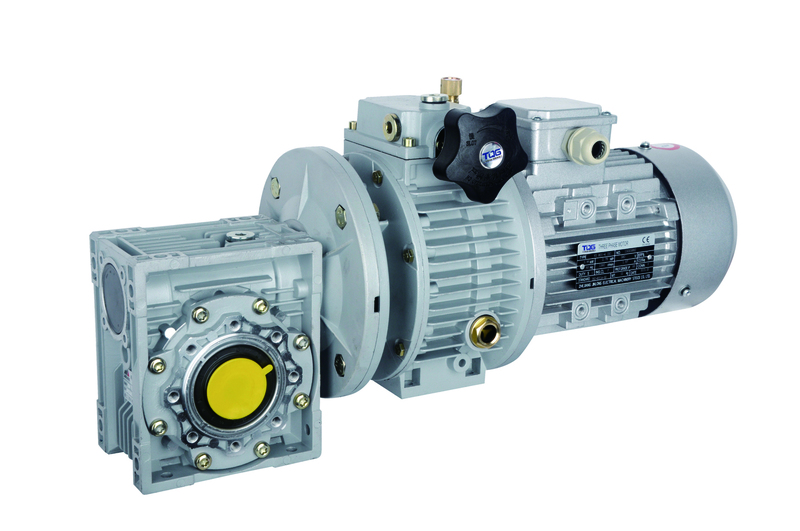 The UDL-NMRC has 2 optional worm wheel materials, the tin bronze or aluminum bronze alloyso that the gear motor has good looking appearance. 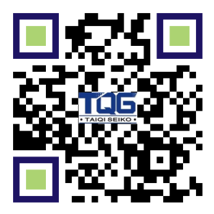 The TQG UDL-NMRV gear motor has got the certificate of quality: ISO9001:2008 which guarantee the high quality and long service life of the products. 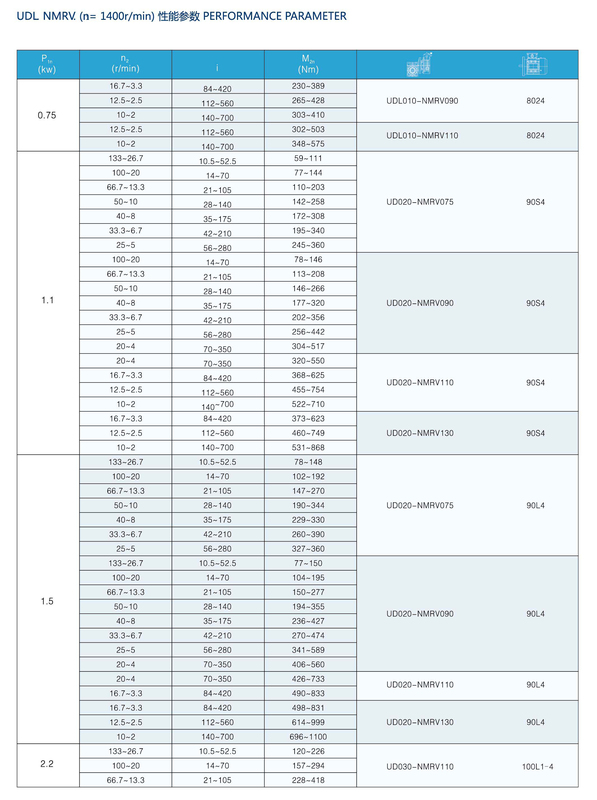 Several optional mounting options is available for the UDL-NMRC of Taiqi. 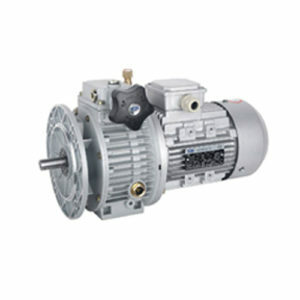 The UDL-NMRV gear motors are widely used in food, pharmaceutical, plastics, paper, ceramics, tobacco, printing and other light industrial sectors, industrial machine tools, mechanical arm, automated production lines, packaging machinery, textile machinery, printing machinery, spraying machinery, metallurgical mining, environmental protection Engineering, automotive manufacturing and other fields. 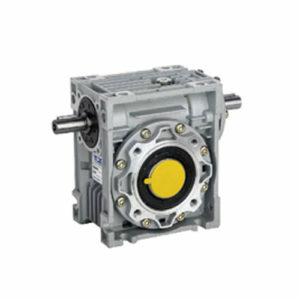 Do not slam the output shaft when installing couplings, pulleys, sprockets, etc. 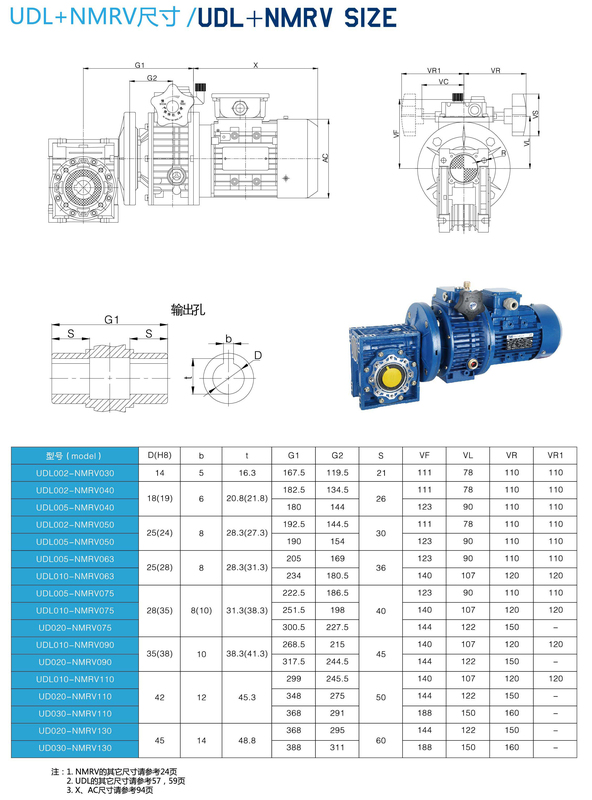 Put the screw into the screw hole ofthe output shaft and press in the coupling. 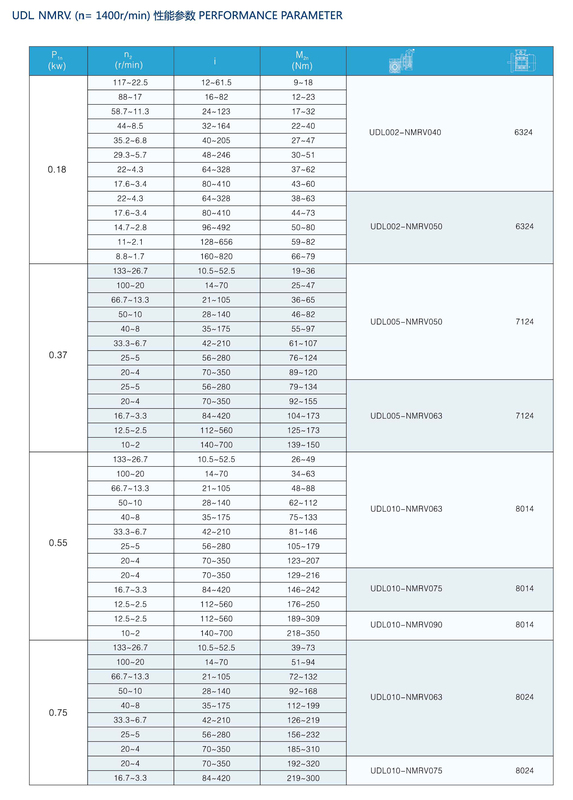 When installing the pedestal stepless speed changer on the basis, the elevation of the installation centerline, the levelness of the machine and the relevant dimensions of the associated components shall be calibrated. 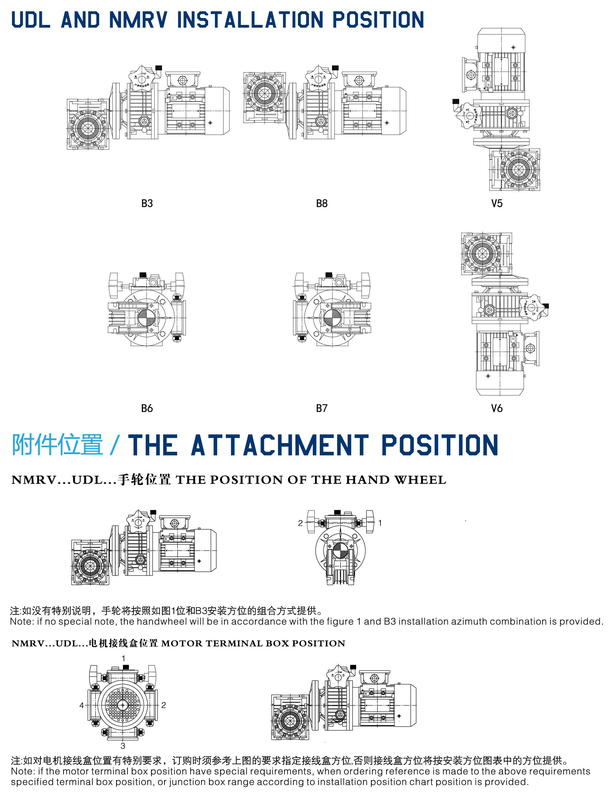 The coaxiality of the calibration drive shaft shall not exceed the allowable range of the coupling. 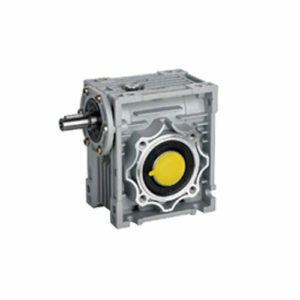 The vertical stepless transmission can be installed at any angle, the oil level must exceed the higher side of the oil standard centerline.